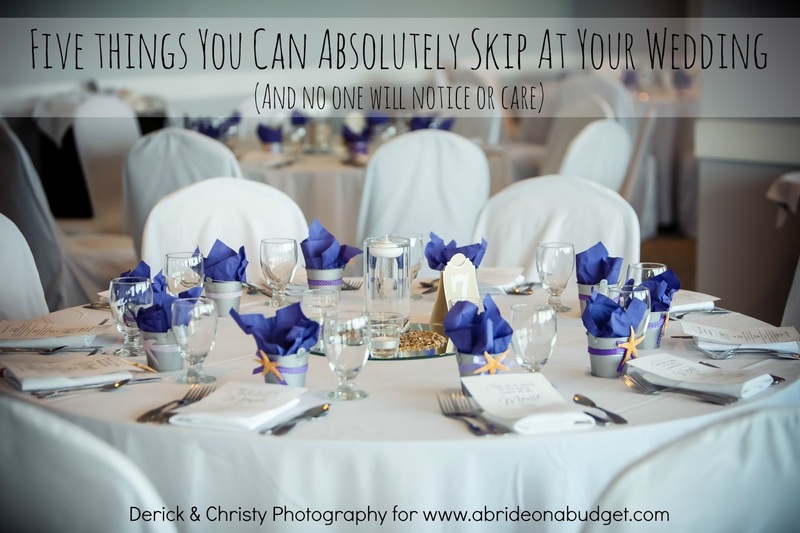 There are so many things to worry about when you're planning a wedding. So many things to do, to make, to buy, to figure out. My best suggestion is: Don't make everything. It sounds like a great money saver to make every single thing you can. But that is a time drain -- and will completely stress you out. With a few weeks until your big day, you don't want to be sitting there, surrounded by glitter and scissors, wondering who told you it was a good idea to DIY it all. My other suggestion: Make some things and buy the rest. And go ahead and combine these things. If you remember, I wrote a twine-wrapped wine bottle tutorial last year (you can click that link to see it). After you go through all the time to make those for your centerpieces, you don't want to make the actual table numbers as well. This is where the Brides Rustic Chic Table Numbers From Gartner Studios comes in. These table numbers come in a pack of numbers 1 to 12 and a second pack has 13 to 24. 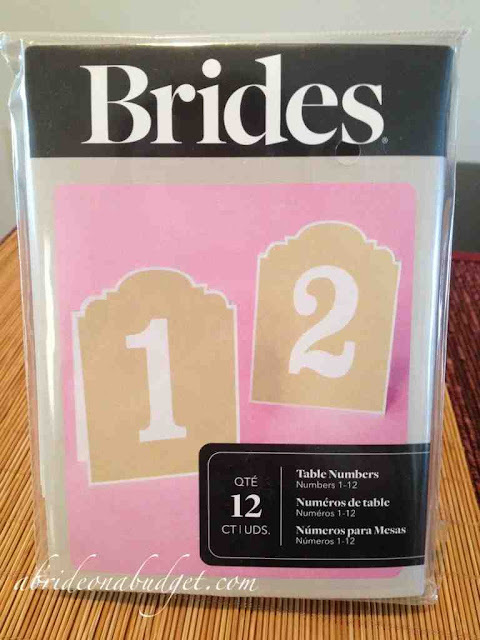 We here at A Bride On A Budget got the first 12, although, now that I think about it, I might have more than 12 tables so the second pack would have been good to pick up too. No worries. These are available online or at Michaels stores for $6.99 for the entire pack (in store only, it seems. The ones online are similar but different). I actually love these so much. They are the "rustic" line (which means they're a sand brown with white numbers). There's also an "ornate" package, which has a different edge and is white with black lettering. The brown numbers matched the twine-wrapped wine bottles perfectly. Assembly is easy. There is a tab with a slit on both sides. Slide them within each other, and you're done. Like I said, easy. 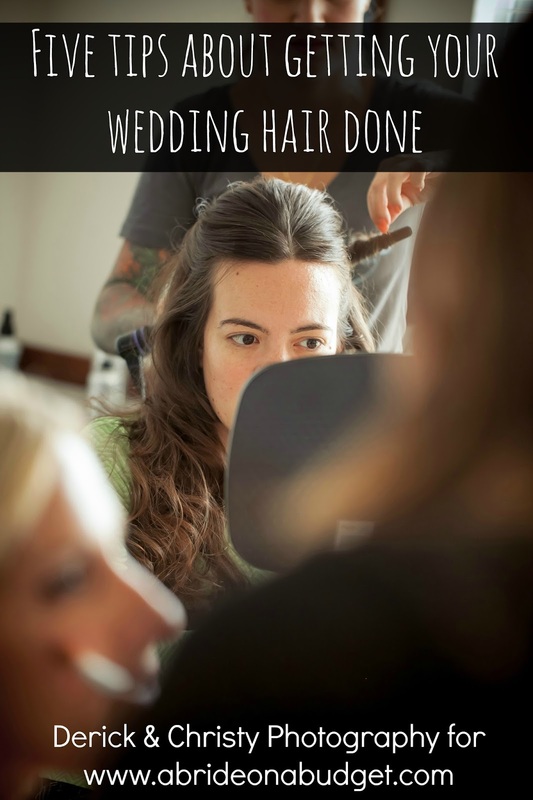 And when it comes to your wedding, you need a few things to be easy. What I really like is that both sides are different. 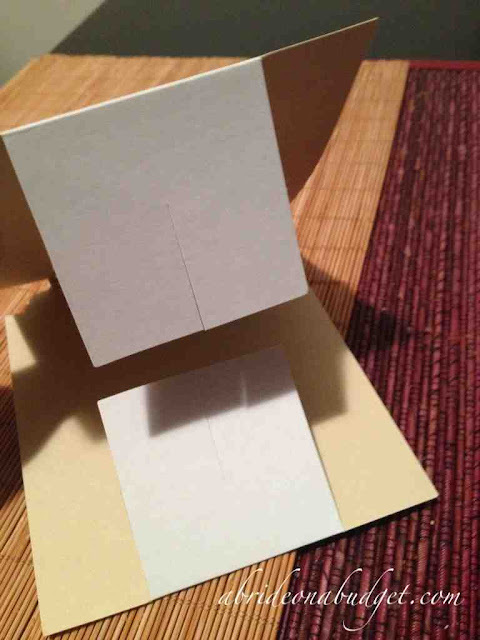 On the package, the table numbers are both pictures with the front being the way the "1" is positioned. But I sorta really love the way the "2" is, with that gap at the top. You don't have to worry about these falling down at the wedding either. The package includes a set of 24 stickers, so affix them to the bottom and these will stay secure. These are pretty heavy duty as well, so they should stay up on their own in case you misplace the stickers. They stand up a lot better than if you were to print your own on, say, printer paper or cardstock. Plus, they aren't homemade, so they don't look homemade. That's the key here. 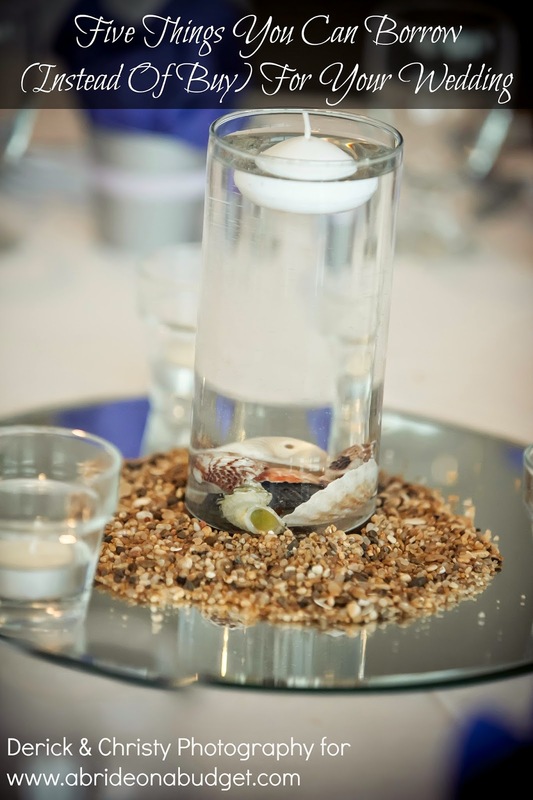 You can make as much as you want for your wedding, but if it all looks homemade, it will be borderline tacky. The twine-wrapped wine bottles, they look purchased. Don't ruin that illusion with printing out numbers on a piece of paper and sticking it in front. What I also really liked about these table numbers is this is all you need. With a printed piece of paper, you're also most likely going to need a frame to display the number in. Even if you get a frame from the dollar store, you're looking at $12 for twelve. Since this package is only about $7 for the whole package, you're saving money. Excellent. Gartner Studios has a ton of wedding items, everything from invitations to place cards to favors. We actually got a chance to review a second product from the brand, but I'm keeping that a secret for now. 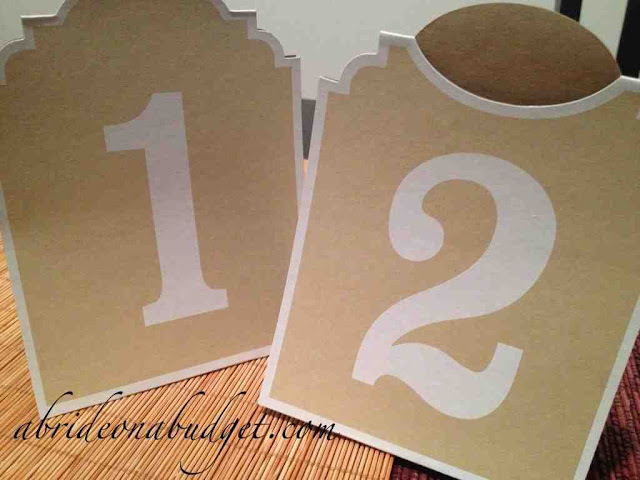 BRIDAL BABBLE: How did you (or how are you planning to) display the table numbers at your wedding? UPDATE: We actually did use these at our wedding. If you look at the photo in this post you can actually see the number on the table. I'm getting my photographer, during the engagement session, to take pictures of our dog. At least 25 different pictures, one for every table. Either we will photo shop a number in or take pictures with numbers with him. That way we can have our dog at the reception, even though the venue doesn't allow pets. We will see him at every table. Oh my gosh, this is such a really sweet way to include your dog at your reception. I think this is an excellent idea (and I might have to replicate it for a future blog post). Thanks for the idea! I love this idea. I am actually doing this exact same thing with the colors of my wedding on vases.